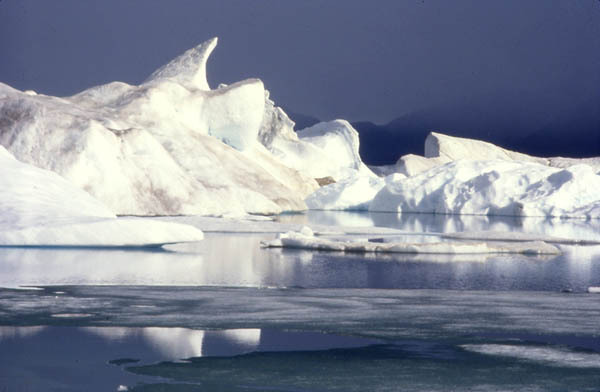 The ice of the majestic bergs is estimated to be 20,000 years old. The elements of nature, wind, cold, warmth and moisture have shaped and formed these sculptures. I am reminded of Henry Moore's creations.